The oil leak that seemed as if it would never end was finally plugged in July after three months of gushing, but not before almost 5 million bbl. 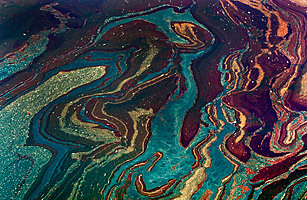 of oil spilled into the Gulf. What began as an April drilling-rig explosion turned into weeks of environmental anxiety. After multiple attempts at blocking the leak, the wellhead was capped on July 15. In the end, it was the worst accidental spill in the history of the petroleum industry. The leak put an estimated 53,000 gal. of oil a day into the Gulf, and BP's estimated costs for the cleanup and compensation now sit at $40 billion.